There are bargains to be had at Atkinson's of Sheffield until 10 December. Atkinsons of Sheffield is getting into the Christmas spirit by offering bargains to its customers and supporting two well-deserving Sheffield charities during the store's black tag event. 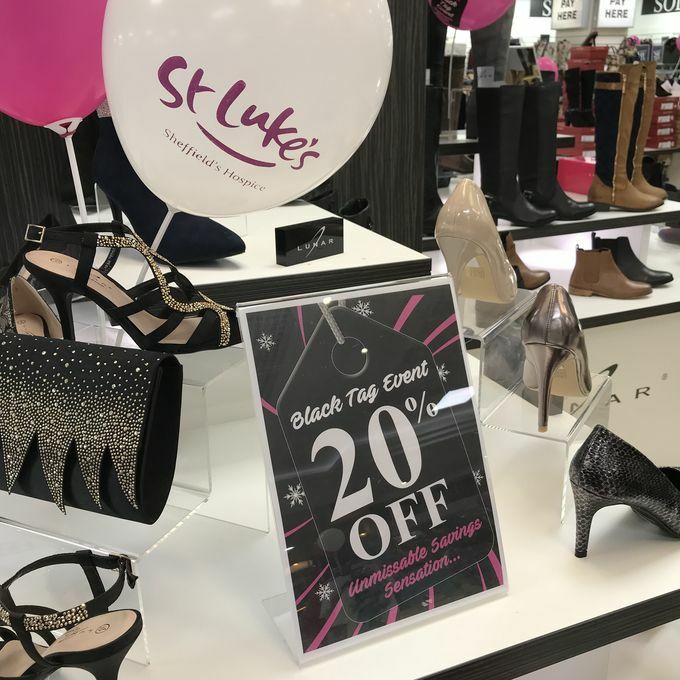 The family-run department store is raising money for St Luke’s Hospice, which cares for adults with terminal illnesses in Sheffield, and taking donations for Hallam FM’s Mission Christmas appeal, which provides disadvantaged children and teenagers with gifts on Christmas morning. To raise money for St Luke’s, the store celebrated its 145th anniversary by cycling 145 miles on exercise bikes at the front of the store. Staff, journalists and other supporters all got involved, raising a total of £645.15 for the hospice. The store is also raising money for the charity by giving customers who spend more than £20 a token, for every token in the collection point at the front of the store, Atkinson’s will give 10p to St Luke’s. To help disadvantaged children and teenagers in Sheffield, Atkinsons is collecting donations for Hallam FM’s Mission Christmas appeal. Customers are being encouraged to buy an extra present when they’re Christmas shopping that will be given to a disadvantaged local child to make their Christmas morning special. The store is asking for new and unwrapped gifts suitable for children and young people aged 0-18 years, with a special emphasis on gifts for teenagers, who are often overlooked during the appeal. Until 10 December, Atkinsons is running a black tag event, offering bargains on fashion, homeware, beauty and gifts throughout the store. With everything from designer clothing to gifts for kids, Atkinsons has something for every member of the family this Christmas, and staff are happy to help you find the perfect gift. Head down soon to take advantage of the best deals, the store will be opening until 6pm on weeknights in the run up to Christmas. In Sheffield, Thursdays are for shopping, with many stores keeping their doors open later than usual, especially in the run up to Christmas. For more information, see who’s alive after 5 in 2017, or discover which stores are open late on a Thursday in the run up to Christmas .